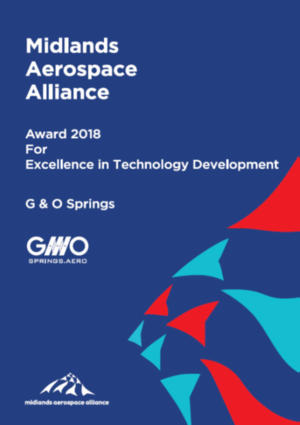 Three industry-leading companies have set the benchmark for excellence after becoming the first ever winners of the Midlands Aerospace Alliance Awards for Excellence. 2018 was the first year that the awards, which have been created by the alliance to recognise excellence in business development, supplier performance and technology development, have been made. Winners were recommended by the three MAA Working Groups that focus on these areas. 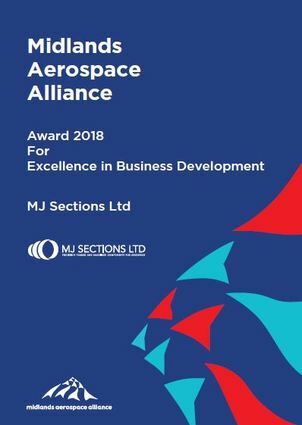 MJ Sections have received the award for their successful international diversification strategy, which is allowing the company to rapidly grow with existing Midlands customers while developing links to new customers at the same time. Not only has the company’s business turnover risen by 50% in recent years, but MJ Sections has achieved approval from US companies, Pratt and Whitney and GE Aviation, as well as starting to supply a UK company with parts for the new LEAP engines for French engine maker, Safran. Redditch-based G&O Springs led its first ever R&D project as part of the MAA’s ATEP programme, starting in 2009. G&O recognised that because there was little empirical test data for springs manufactured from special aerospace alloys, customers like actuation systems makers inevitably tended to be conservative, with high design margins leading to larger-than-required springs and heavy housing. After their research project was complete, with results validated by the Institute for Spring Technology, customers such as BAE Systems and UTC Actuation Systems are now able to develop smaller lighter aerospace components. 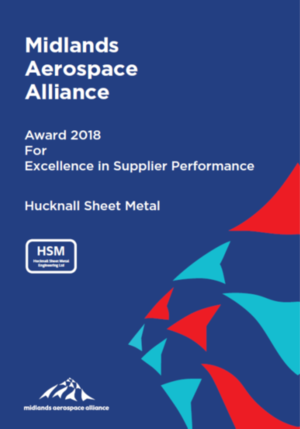 This award has gone to Hucknall Sheet Metal in recognition of how the company’s performance has helped its aerospace business grow significantly in recent years. A great case in point is how the company has provided one of its customers, Rolls-Royce, with Fast Make support by making newly-designed engine parts quickly so the development of new engines can be accelerated. This service also provides Rolls-Royce with rapid response support, such as helping to manufacture components for a period to enable Trent XWB production to continue uninterrupted during production ramp-up. Had their award officially presented to them – by an aerospace VIP guest at their site. Received an invitation for two to the 2018 MAA Annual Dinner at The Council House in Birmingham.